Lamb McErlane is widely known for its dynamic, diverse and efficient litigation practice. 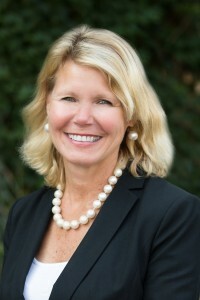 Whether the issue is a commercial dispute involving Fortune 100 companies, a complex real estate or estate matter, or an eminent domain proceeding, when a client chooses Lamb McErlane to represent it in litigation, the matter is staffed to achieve the most efficient result in the most responsive, timely and productive manner. Staffing, whether by one or a team of experienced attorneys, is tailored to meet the client’s specific needs in any given matter. Lamb McErlane is uniquely prepared to see a case from trial through appeal, where strategy is revisited at every stage. The Firm has some of the most highly qualified appellate lawyers in the Commonwealth. Lamb McErlane attorneys, when appropriate, consider creative alternatives to litigation, including arbitration, mediation and negotiated settlements. Where appropriate, firm litigators confer readily with attorneys across Firm departments creatively, aggressively and efficiently solving problems by drawing upon all available expertise. Through diligence, intelligence, and high standards of professional practice, Lamb McErlane often competes successfully with large urban firms and boutique practices, from New York, Philadelphia and elsewhere. Lamb McErlane attorneys are frequently before state and federal courts in the Delaware Valley and throughout the Commonwealth. Lamb McErlane attorneys are intimately familiar with the regional and state trial and appellate court systems, which allows for agile, timely service and filings that run the gamut of personal, business and municipal issues.